Everything an Artist needs to know about the Internet! A true insider’s guide, written by artist, technologist and entrepreneur Robert Nicholson. Learn everything you need to know to make your website work for you! 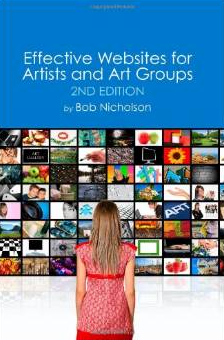 Need your website to showcase your artwork to galleries? Want to sell your artwork on the Internet? Want your customers coming back again and again? … then this book is for YOU! The California missions represented the final expansion of the Spanish Empire. From 1769 to 1823, Spanish soldiers and monks built a total of 21 Missions and 5 Presidios (or military forts), stretching North from Mexico, along the Pacific coast, through the territory that was then known as Alta California. Over a short period – little more than 50 years – the Spanish brought a new culture to California, spreading European religion, agricultural practices, and eventually forms of government. The settlements around the missions became the seeds of modern California’s major cities. The trail connecting the missions, El Camino Real, became California’s first “highway,” and its route is closely followed by modern Highway 101. The designs of the missions still influence California architecture. In a very real sense, California as we know it today would not exist without the foundation of the missions. The California Mission Guide provides a quick introduction to the 21 California missions and their history. 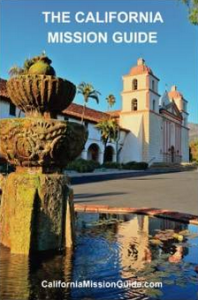 The book is a companion to the CaliforniaMissionGuide.com website, and is ideal for travelers and tourists who want to explore the California Missions. Note: This book does not contain photographs! There are many beautiful photo books featuring the California Missions. Our goal for the California Mission Guide was to provide a small book with key information on each of the missions, and the mission system in general.